3D printers have been around for at least three decades, but a convergence of computing power, design software, and market forces are pushing the technology to the fore. On a different note, 3D printing also reared its head in the debate over gun control, morphing the traditional question of how to regulate gun sales into one of how to police gun production when anyone can buy a 3D printer and download gun designs from the internet. If this all sounds like science fiction, it used to be. Star Trek fans will recall Captain Picard's perennial requests for "tea, Earl Grey, hot" being fulfilled by the food replicator. But 3D printing is distinctly real, here and now. Boeing's Dreamliner contains nearly three dozen 3D printed parts. Closer to home, Chris Connors has two 3D printers in his classroom at Martha's Vineyard Regional High School, and there's one at Mashpee High School, as well. Microsoft Windows 8.1 will include built-in support for 3D printing, suggesting to some analysts that the technology is going mainstream. Indeed, technology analyst Melba Kurman and robotics researcher Dr. Hod Lipson - together, the authors of "Fabricated: The New World of 3D Printing" - predict that 3D printing will be a routine part of most people's daily lives in a matter of two, maybe three, decades. We'll be printing nutritionally-designed foods, replacement toothbrushes, medical devices, even homes. 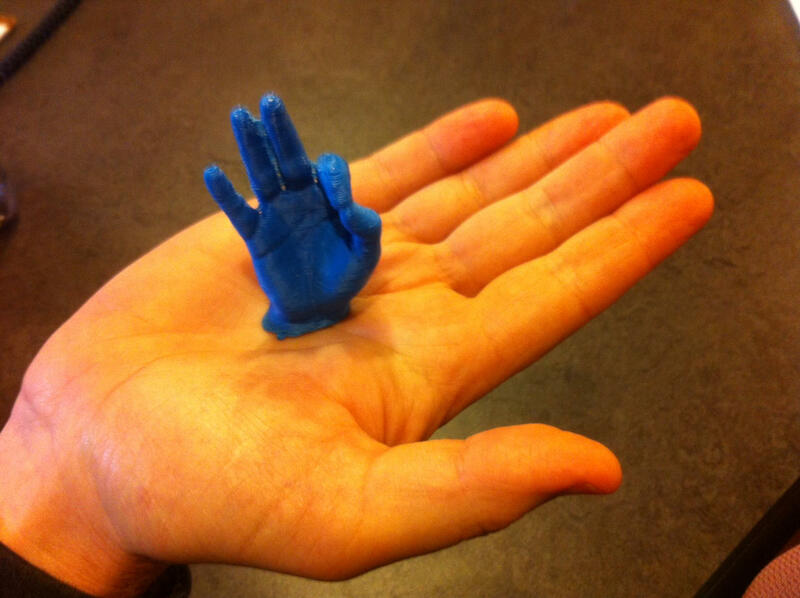 If you could print anything, what would it be?